When Saint John Paul II visited North America, he exhorted all Catholics to “have the courage to bear witness to the Gospel in the streets and squares”. The vision of LAMP, founded in and by the love of Christ Jesus, impels LAMP Missionaries to literally reach out to the poor on the streets; to those who need to know the Lord has not forgotten them, and that the local Catholic parish wants to be of service to them. 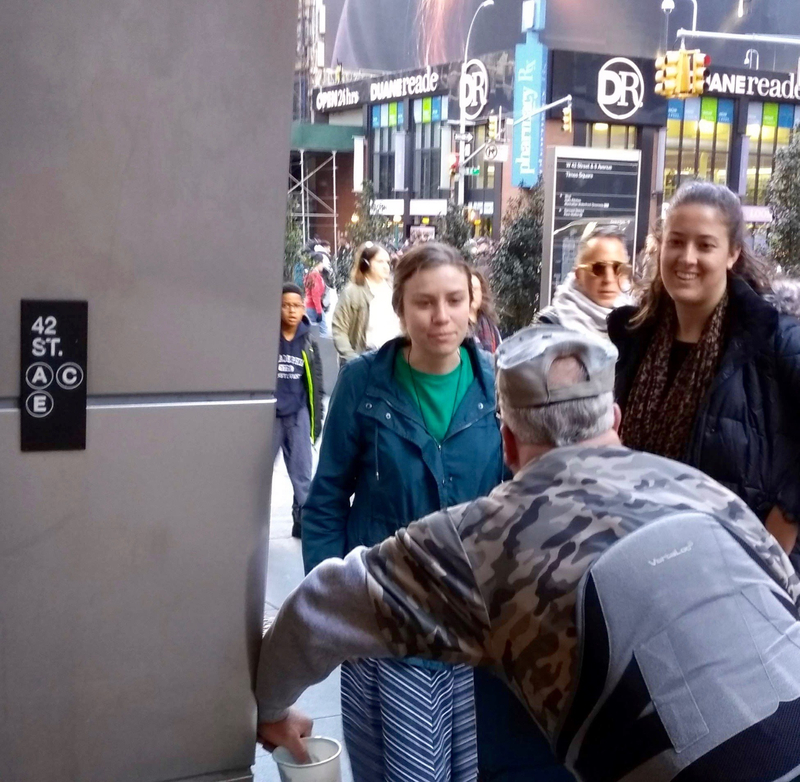 Evangelization in front of the local parish in Times Square in New York City: LAMP Missionaries visit with a woman who is interested in the Catholic materials we have displayed. LAMP Missionaries share the Good News with those we meet, finding Christ in every face.